Ne quidem sed etiam: Easter Monday, better than Sunday! Easter Monday means time for my Godmother's annual Easter Egg hunt, literally one of my favourite calendar events. Usually this takes place in the garden, with glorious sunshine, 20 'kids' and nearly melted chocolate. This year the numbers were a bit depleted, the 'kids' are all growing up, and the weather was awful, so we relocated inside. The food however was glorious, and the eggs for the hunt weighed up to a massive pile! And Lemon tart which was gobbled before I could snap it. Always tends to happen! 6 layer jelly. For old times sake. And cream and strawberries with a custard center. 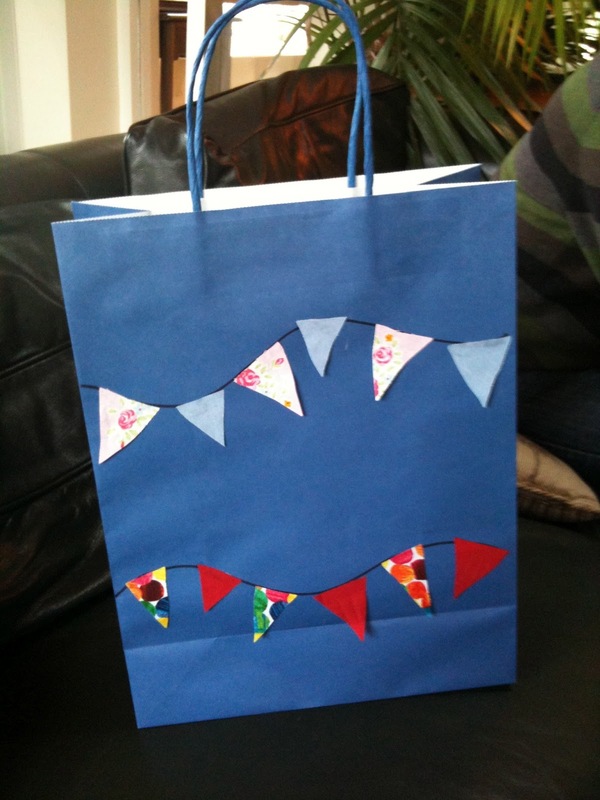 So we all had home-made bags decorated with pretty 3-D bunting which also decorated the house. 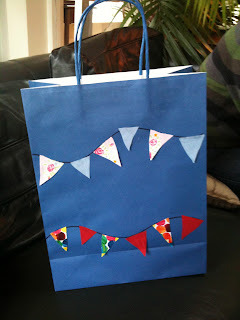 It was all about bright colors and stripes- very much getting me in the mood for summer! 418 eggs and treats. No joke. Easter had even invaded the bathroom! Currently Googling recipes to use up leftover chocolate. I've got 20 for dinner and cocktails on Friday, and guess what's for dessert.